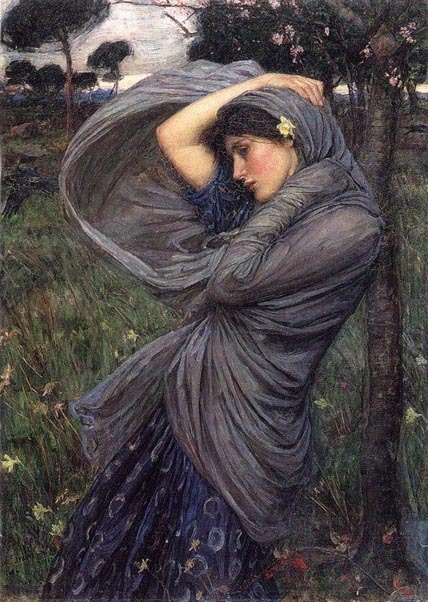 The Sophiastrology of Now (and moving forward) gives quite a few clues that the re-emerging Feminine will become more and more prominent, and visible – Regulus has shifted out of Yang-Leo after a couple of thousand years, and is at the Virgo gateway; outer planets shift from Air and Fire Yang into Earth and Water Yin. This post explores some of my favorite fierce and feisty Feminina archetypes and goddesses, so if you feel a need to stir some feisty Feminina Mojo — and really, who couldn’t benefit from some added Feisty Mojo right now? — this one’s for you. You’ll also find links to more indepth musings on a few not-to-be-messed-with goddess heroines, too (Lilith, Artemis, and Durga come to mind!). We’re still in the midst of some intense Grand Cross energetics, among other macro-energies afoot at the moment, which means more than a few people are being activated directly (if current planetary transits affect you directly). Others among us might be feeling the challenging or even toxic juju wafting about in the ethers — this qualifies as a ‘day in the life’ occupational hazard for empaths and sensitives. Resisting such energy tides really works at cross-purposes, so a wise strategy is to go with the flow, and alchemize and repurpose the energy in the spirit of the fierce and feisty Feminine. For ‘get in the zone’ inspiration, Artemis, Durga, and Lilith come immediately to mind, and that’s just the short-list of fabulous Feisty Feminina energy pools to dive into to remember and awaken our Feminine Mojo. We’ve got our Artemis gifts, of course, which I’ve blogged about in this Sophia’s Children post, but for current fierce-and-feisty purposes, there’s a little story about Artemis that says it all. Artemis is the Lady of the Wilds — not just protectress of the forests and wild things, but also an embodiment of the feral, untamed, wild Feminine lifeforce that pulses in us (and that the cranky old Patriarchs tried their best to snuff out). While bathing in a beautiful forest pool, the goddess Artemis notices that she’s being watched by a hunter lurking in the trees so as to catch a glimpse. This, of course, is wildly taboo, which he knows. But he does it anyway. Bummer for him, though — he pays a price for his crass disrespect. 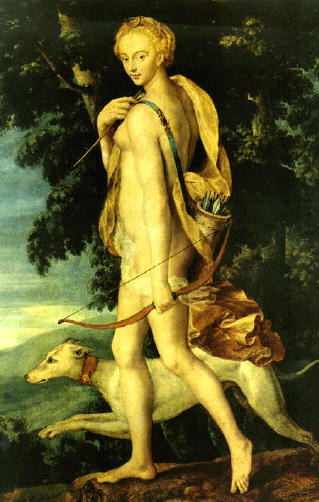 Artemis uses her superpowers to turn him into a deer and sets his own hunting dogs after him. They pretty much eat him for dinner, making clear how Artemis feels about those who disrespect Nature, the wildlings, and the Feminina. 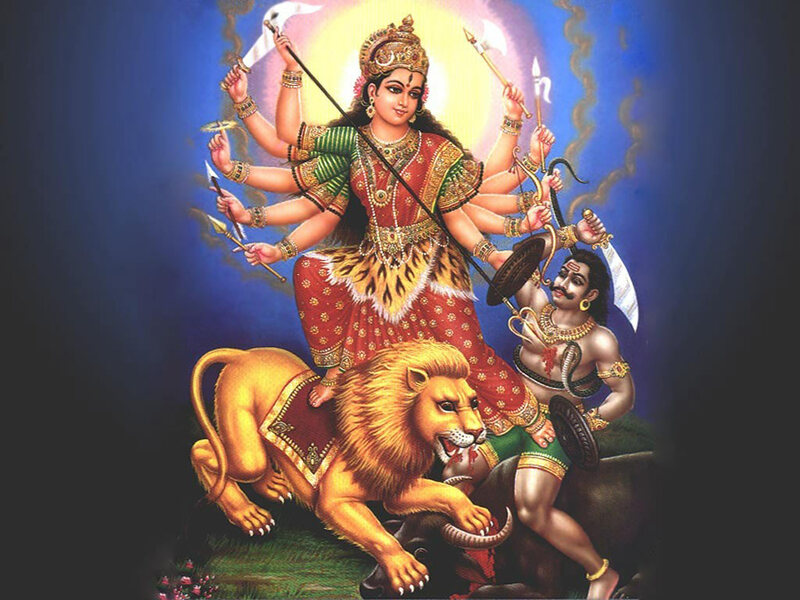 In other chronicles of the fierce Feminine, Maha Durga is called upon when the evil shenanigans of the demon-archontics get way out of hand, wreaking havoc on everything and everyone. Sounds kind of familiar, doesn’t it? Using her array of Divinely Feminina superpowers, Maha Durga pretty much cleans house and clears those MoFo demons out in no time flat, without breaking a sweat. And then there’s Lilith, another original feral, feisty, fierce Feminina. 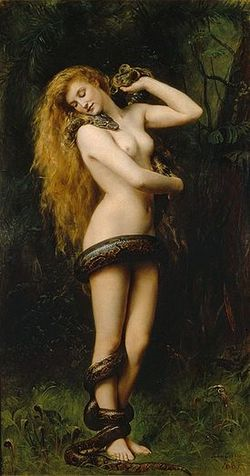 You remember Lilith, right? She who wouldn’t allow others to treat her as a second-rate being? If not, definitely get acquainted (and if acquainted, you’ll know the value of refreshing and re-stoking your Lilith-Mojo). These stories of the fierce and feisty shamanic Feminina remind us that sometimes, fierceness and even anger — mindfully alchemized and purposed — can be the perfect medicine. Stoke your Feminine Mojo with these and other fabulous and feisty Femininas in the Divine Feminine, Deep Feminine Mysteries Readers’ Favorites Series. Featured Image Credit: Ceridwen, 1910, by Christopher Williams, Glynn Vivian Art Gallery. Image from WikiCommons.